We had some great teamwork with Jennifer Crippin-House and The Inn at St. Johns this past Saturday. We used Kiwi Pintuck Linens, Ivory Satin and Black Resin Chiavari Chairs. 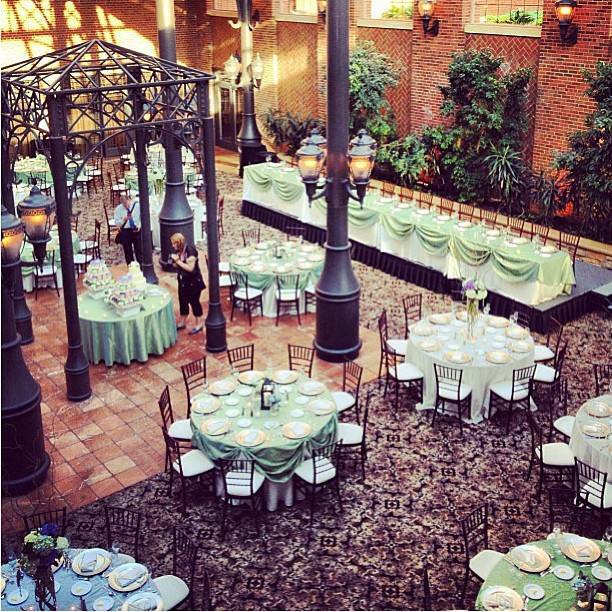 The Colors of the Beautiful Hydrangea Centerpieces work well with both the linens and the elements of the Atrium! Great Job Everyone! We want to send out a special shout out to our newly weds the Ace’s! It was a pleasure being apart of your big day!